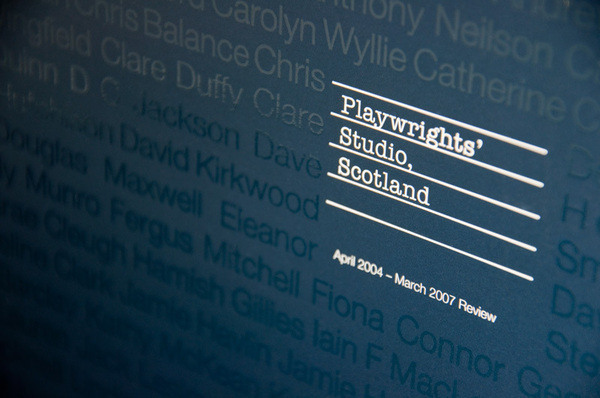 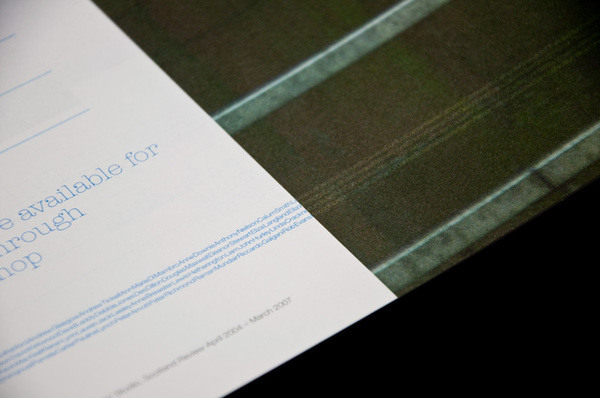 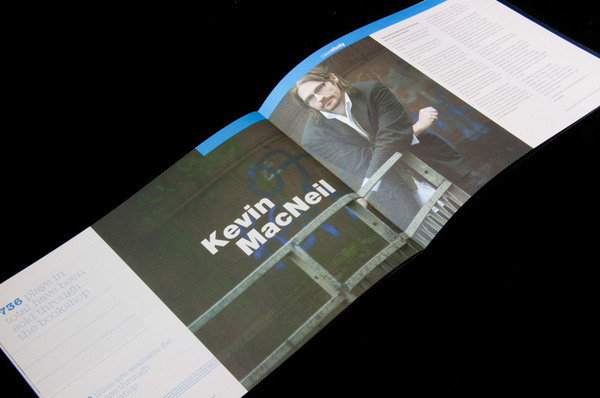 Tri Annual Report designed and produced for Playwrights' Studio Scotland. 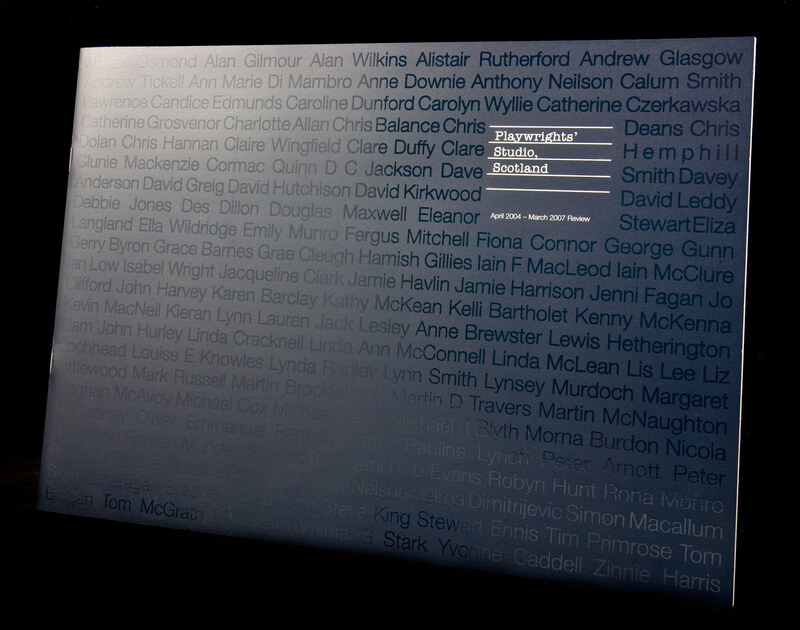 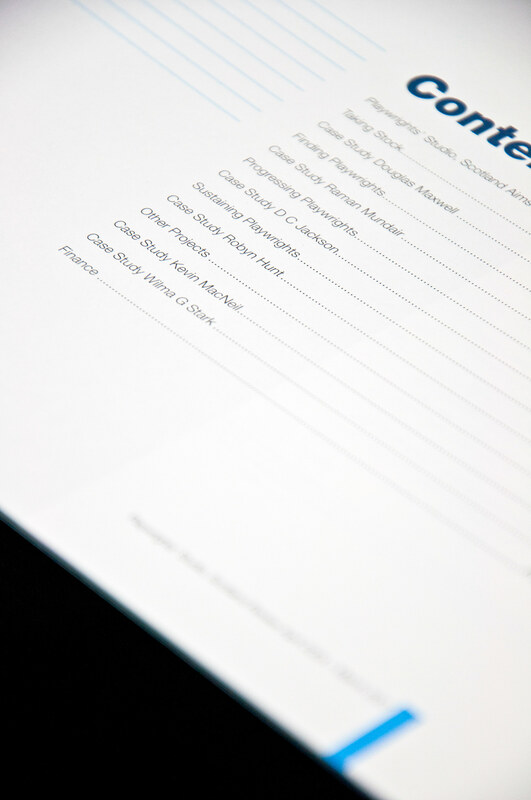 Cover shows names of people the Studio had been involved with which also run throughout the inside linking the report to them. 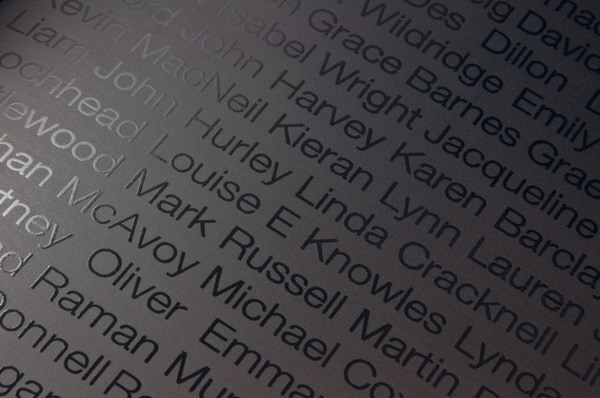 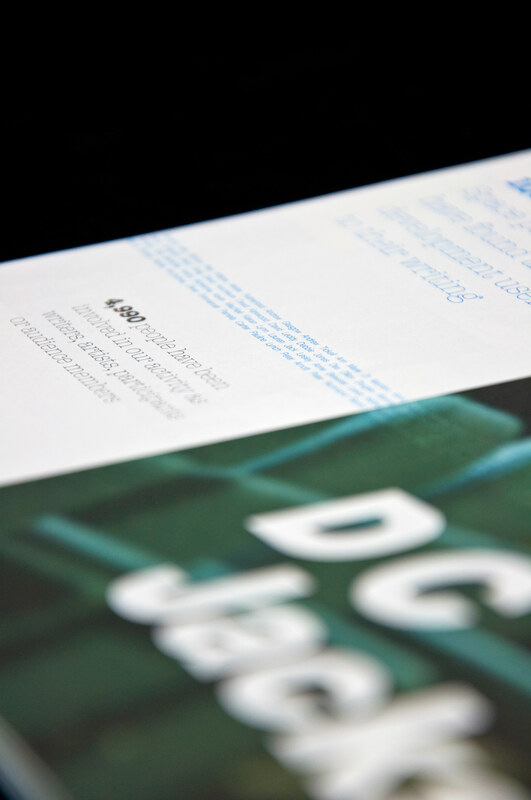 Printed full colour with spot colour and UV varnish.